Outdoor weddings come with some unique challenges—but Fearless Photographers know just how to transform problems into opportunities. This lovely setting with beautiful late-day light had all the makings of a quiet, classic portrait . . . except that the bees had other plans. 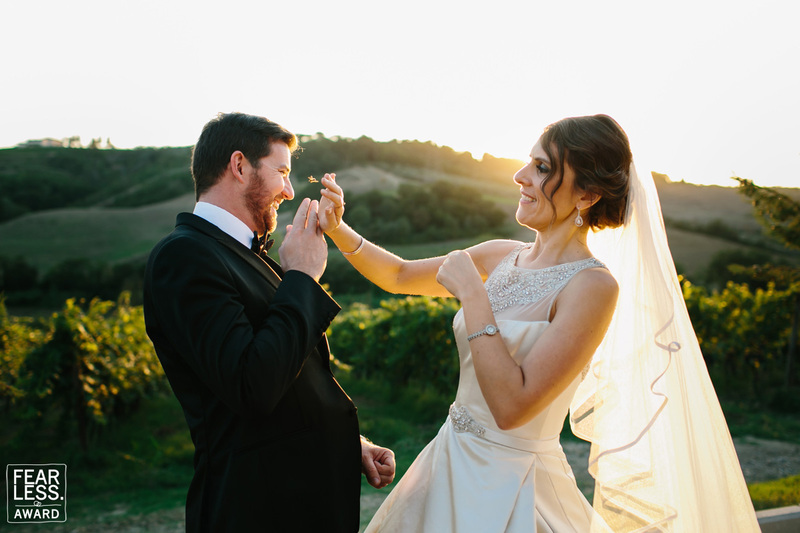 The photographer rolled with it and captured a charming image of the bride trying to rescue her new husband from the stinging insect that hovered inches from his face.